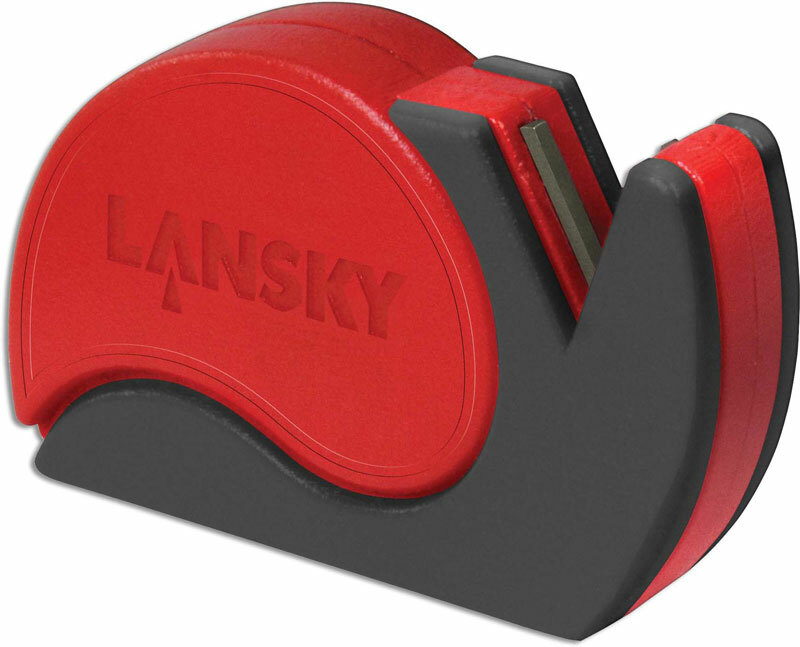 The Lansky Sharp'n Cut is a compact 2 in 1 tool that features a pull through carbide knife sharpener, and a ceramic cutter with retractable guard for slicing open packaging, envelopes, etc. Housed inside the ergonomic red and black frame is a magnet for handy attachment to any metal surface. To use the ceramic cutter: press the bottom of the Sharp'n Cut against the object to be sliced. The blade guard retracts with pressure to expose the cutter for use, and it automatically returns when the pressure is gone. The Lansky Sharp'n Cut is 1 1/2" tall and 2 3/4" wide. Made in China.